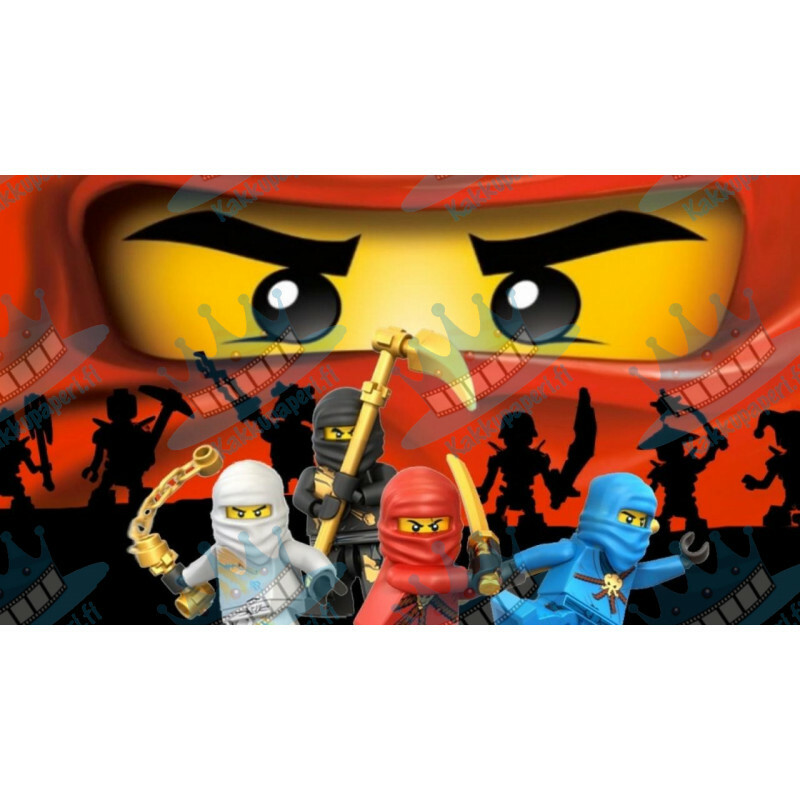 Lego NinjaGo edible high quality cake topper with sharp picture and bright colors. Possible to add custome text. Sizes from A6 to A3 custom shapes.